By the calendar it’s time to think spring, brighter colors, lighter fabrics. And I had started, but spring has made a detour, causing major delays. We should be seeing the tulips and daffodils starting to poke out of the warming earth, instead it’s still all snow and ice. 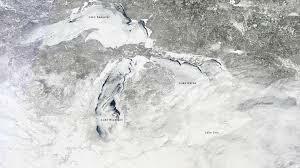 Michigan, with the Great Lakes over 90% frozen, is predicted to continue experiencing lower than normal temperatures for the next 90 days. Cute little spring dresses will have to wait. I’m back to sewing darker, warmer clothing. But, at least I used something from the stash, my last piece from a visit to Textile Fabrics in Nashville. What a great selection that store has. 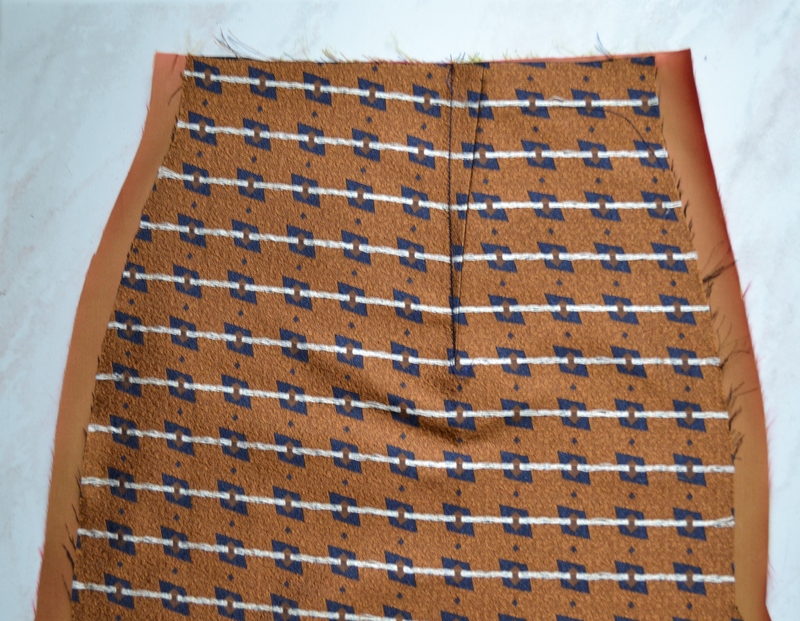 I wanted a pencil skirt that looked like it was made from men’s tie fabric, I’m not really sure of the content, but it’s likely all synthetic. 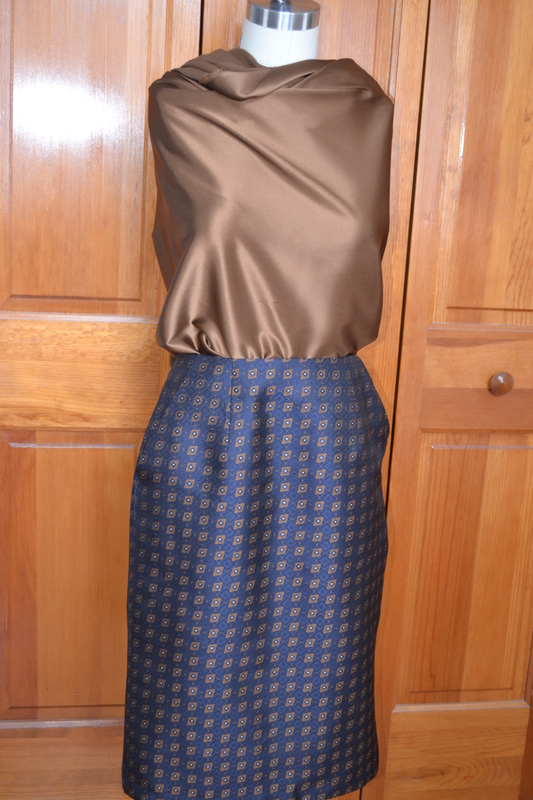 I made a quick muslin from Vogue 8841 and was able to make the size 12 with no alterations, not even shortening. I eliminated the seam and vent in the front, added a simple slit vent in the back and used a flat lining method. 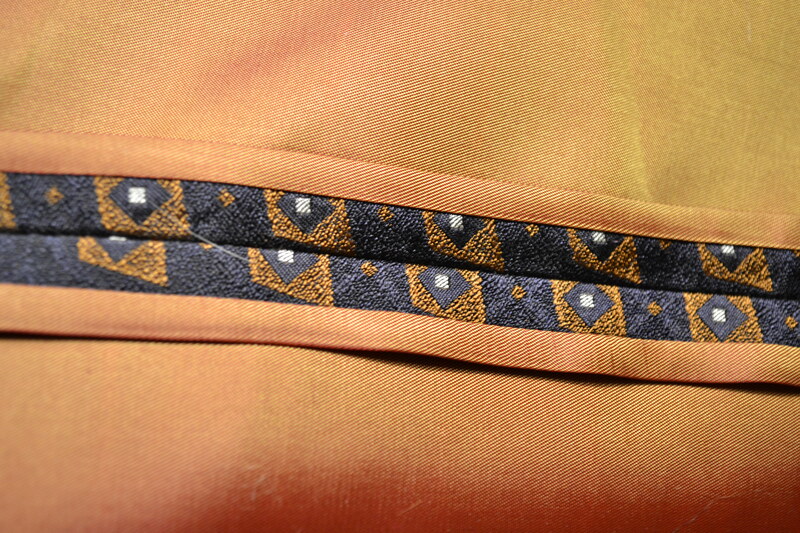 Flat lining creates such a clean finish on the inside of a garment. I found cutting the lining fabric about 3/4 inch wider on each side works out well, then sewing each side together, matching the edges, with a 1/4 inch seam. The top and bottom are left open, creating a tube. I did the darts before sewing the lining to the fashion fabric, so lining dart can be pressed one direction and the fashion fabric dart the other direction to avoid bulk. 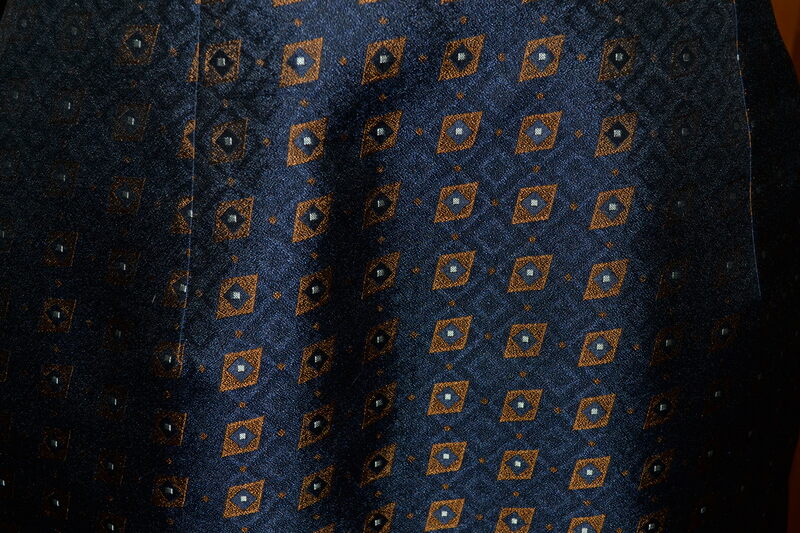 Once the lining is sewn to each piece and any rough edges are trimmed, it gets flipped to the outside and pressed. 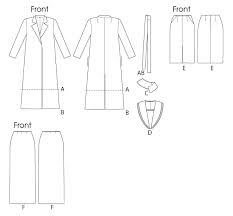 The lining, being wider, extends out on each side and the raw edges are on the inside. The rest of the garment is sewn as normal. 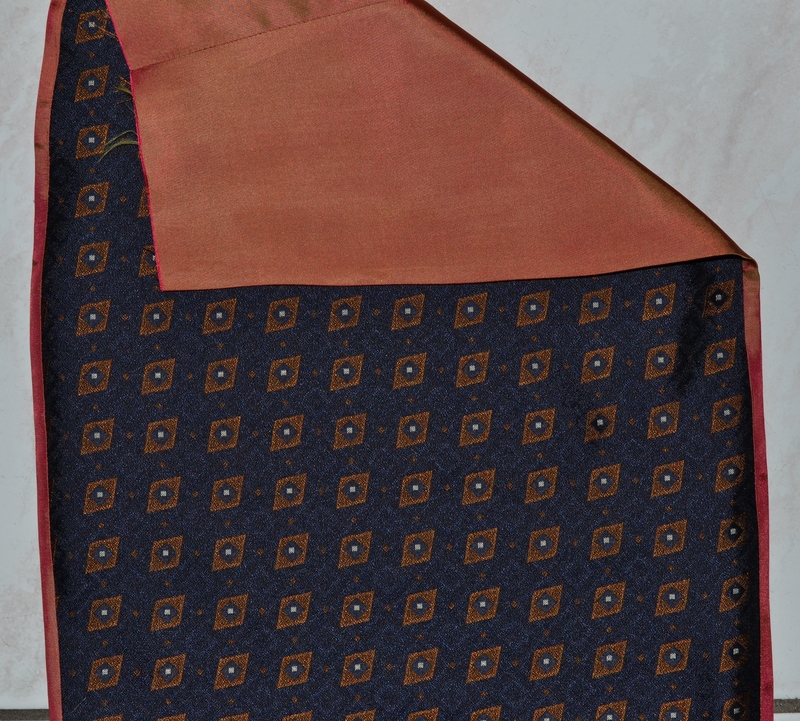 When the side and back seams are sewn and pressed, it has the appearance of a Hong Kong finish. The non-sewer may never know the joy of a pretty seam finish. The skirt was a quick project and all finished. I have a piece of coordinating silk charmeuse for a blouse or top, I just can’t decide on a design. or something with a flounce. Since spring has delayed its appearance, the warm bronzy brown is, unfortunately, extended winter weather appropriate. Thanks for the tip! I was wanting an easy, lined, pencil skirt and here you are! Perfect timing. Yours looks great! Glad to pass it along, let me know how your skirt turns out. Opps, forgot to say thank you. Thank you for demonstrating the flat lining method. I had no idea! Glad to share, I think I found it in a book, but can’t remember which one. Or maybe it was a Threads article. Yes Thanks for the flat lining method…I’m working on a pencil skirt this week that I will definitely try it out on at least for the front panels. I wonder if it will work with the back vent? I enjoy your blog and plan to try this method soon. Thank you for sharing. Thank you for the great demonstration. I just acquired a gorgeous piece of lawn that I planned to underline for a loose summer dress, this technique will be perfect. 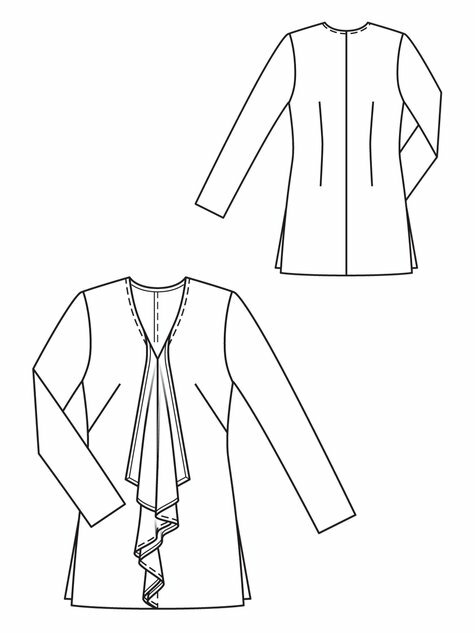 Look forward to seeing the blouse you make to match that beautiful skirt. 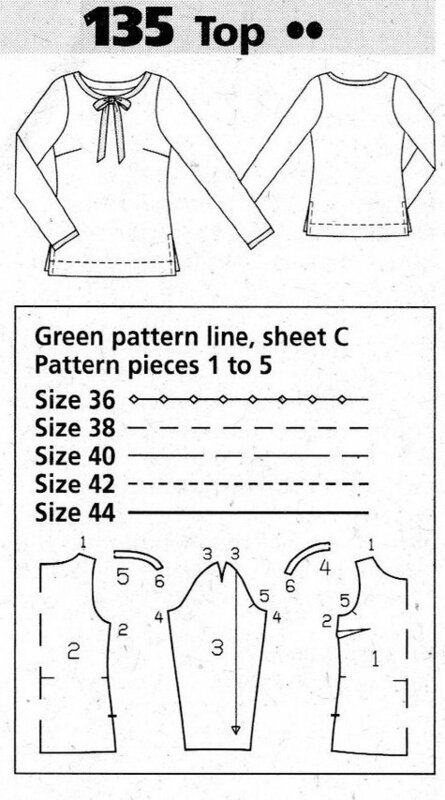 Thanks, I’m still having trouble deciding on the blouse pattern. Hope to see your dress, it sounds so pretty.